Cute pants from Culture in cool trendy spring colour and with slim fit. The pants also have nice feminine details. 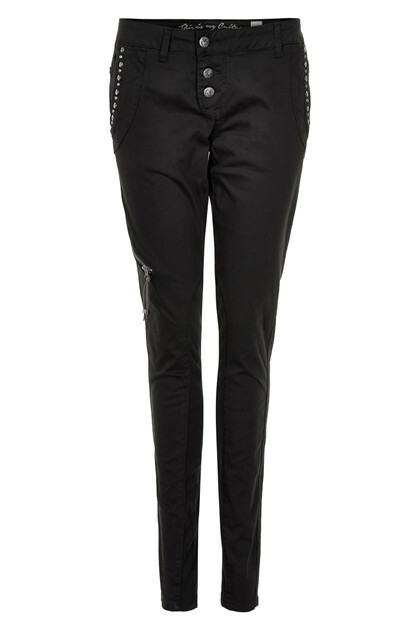 On the front there are rivets, a zip detail and slit details which combine a raw look with a feminine look. The trousers also have belt loops and button closure. They have a fantastic stretchy quality and are comfortable to wear! The pants have front pockets and jetted pockets on the back. 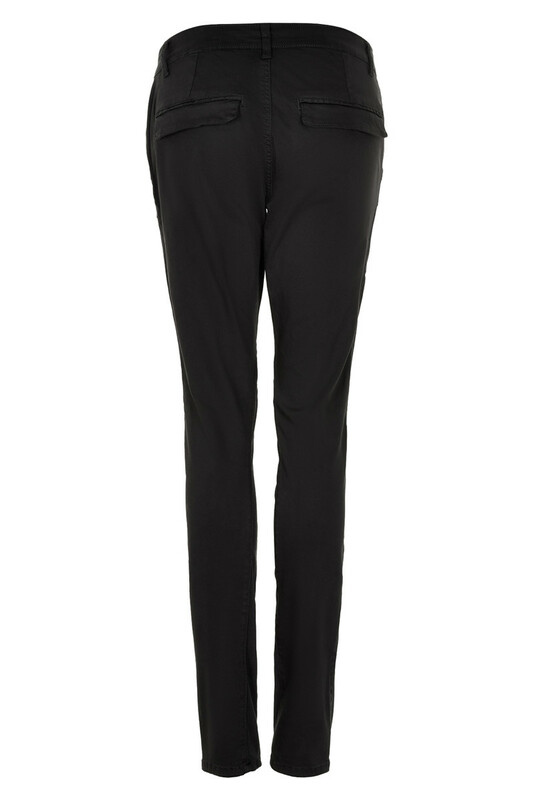 The trousers can undoubtedly be used for both everyday use and festive occasions.